Star Plus popular show Nazar is seeing some major points these days in their story. As we have reported earlier that Pia and Ansh reunion is halted as the sea demons attack them. On the other hand Tara is about to confront the biggest truth of her life. In short the story of Nazar is really having so high level twist in the tale. Pia and Ansh are fighting against Mohona since the time Munna born. Mohona is still after the kid as he can be the reason of she being killed forever. So she is not hesitating from doing any sinful activity to secure herself in anyway. 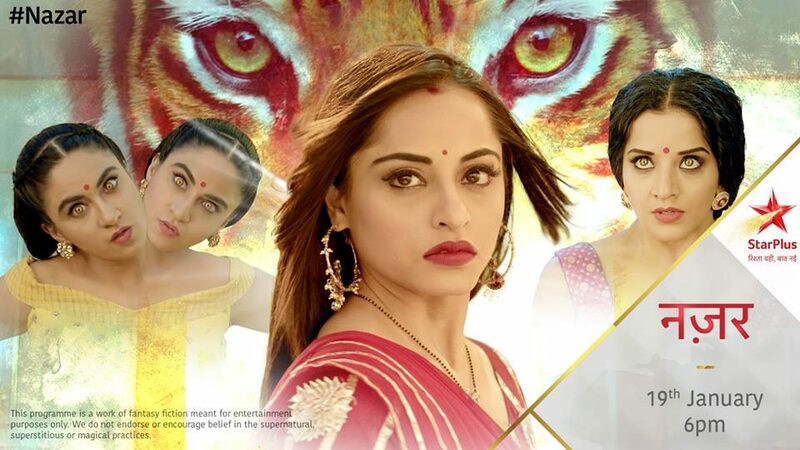 In the upcoming episodes of the show viewers will witness Ansh saving Pia from the demons successfully after indulging in a major and huge fight with him. On the other side Tara will finally get to know the true identity of Mayank’s mother during their first night. That’s what we call some big revelation in the story. Now it will be interesting to see how will Tara and Pia cope up with this hurdles coming in their way? To know more about your favourite show stay tuned with us.